Tux Rental – Suit Sales – Suit Rentals! No Comments on Tux Rental – Suit Sales – Suit Rentals! Getting Hitched? Bill’s has you covered! Tux Rental – Suit Sales – Suit Rentals! 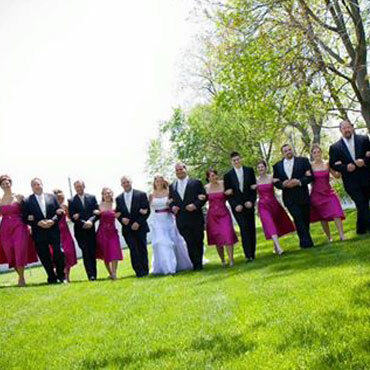 Book Your Tux Rental By 3/1 and receive 2 Free Tuxes and $50 Off each Tux with a party of 7 or more! No Comments on Bill’s Sidewalk Sale! 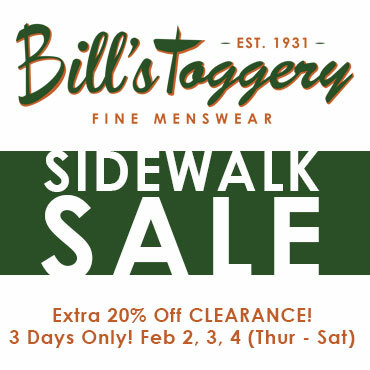 Bill’s Sidewalk Sale! Extra 20% Off CLEARANCE! 3 Days Only! Feb 2, 3, 4 (Thur – Sat) DOWNTOWN SHAKOPEE! Our Shiny New Website is Live! FREE Shoe Shine and Beer Tasting TODAY! The Beatles Collector Series by Happy Socks! Pre-Concert Party featuring SotaStick Co. Apparel!